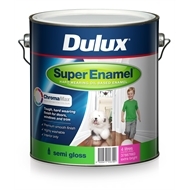 Dulux Super Enamel Semi Gloss is an oil based, hard-wearing, long-life finish suitable for interior surfaces. 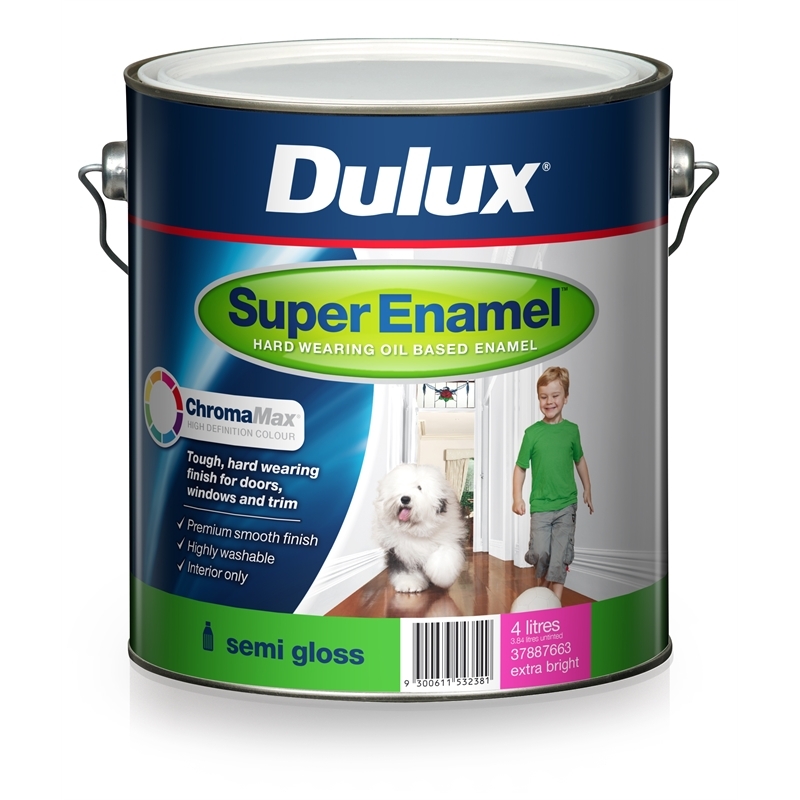 Dulux Super Enamel Semi Gloss is highly recommended for doors, architraves and timber trim in heavy traffic areas such as hallways and family rooms. 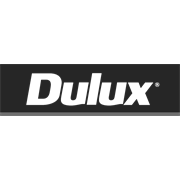 Dulux Super Enamel Semi Gloss has superior flow and levelling which helps achieve a smooth finish.